The only outdoor show of its kind in the UK, attracting nearly 5,000 visitors and over 340 exhibitors, showing the most sophisticated structures, equipment and entertainment demanded by the event industry at large. Even with the unprecedented weather conditions during the summer months, the outdoor event season this year has had many remarkable successes and extravaganzas including the many Jubilee celebrations around the country and the London 2012 Olympics. It has been a truly memorable year and one which culminates at The Showman’s Show in Newbury on 17th and 18th October. Despite the outdoor event season drawing to a close in October, event industry suppliers are still full of energy and enthusiasm; looking forward to meeting new as well as existing customers and assisting them in their plans for next year’s events. The Showman’s Show provides the perfect arena to help them do so. Visitors to this year’s Show will see many familiar faces including; Sunbaba, who will be celebrating 25 years in business, Tony James’ traditional Punch & Judy Show, Igloos showing their luxury loos, Eve Trakway, Fiesta Furniture and many others. The organisers are also looking forward to welcoming a number of new exhibitors who will be bringing some added colour and interest to the Show; including the latest in festival accommodation from Suitehuts and some breathtaking motorbike stunts by the Inch Perfect Trials Display team. New to The Showman’s Show this year is the ‘Green Innovations Zone’ organised by The Green Festival Alliance; who will be bringing together the leading sustainable suppliers in the country to promote their products and services. The zone will present the latest sustainable solutions and innovations in power generation, toilets, consumables, waste management, structures, water provision and materials. Visitors to the ‘Green Innovations Zone’ will find companies who think outside the box to develop new ideas, which have already been proven and operational within the industry. Look out for the ‘Green Innovations Zone’; offering event organisers a viable, sustainable and cost effective alternative - it promises to be an inspiration! This year has really shown to the world what the event industry can do! 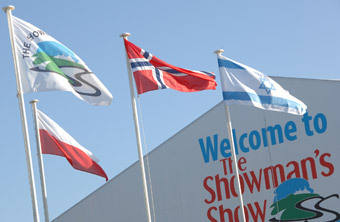 Don’t miss out on visiting The Showman’s Show to make sure your event lives up to expectation in 2013. 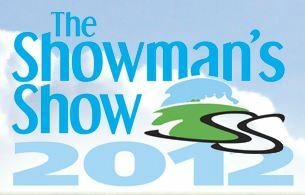 For more information visit www.showmansshow.co.uk or call the organisers direct on 01747 854099. Yes it's that time of year again, when our wonderful events industry heads to a wet and windy field on the outskirts of Newbury. You'll find us under cover in the Main Exhibition Hall on Stand 56. Leicestershire-based trackway and event flooring specialists Eco Trackway & PRIMA Flooring (ETA) is positively looking forward to autumn and winter. With hundreds of prestigious winter festivals and shows scheduled throughout the UK over the coming months, ETA is preparing for a solid second wave of bookings. With over 10,000 metres of Eco Terra-Tech (heavy duty trackway), over 1000 linear metres of its safety ramp edge system and over 7,000metres of Eco Gridmat (pedestrian, disabled and emergency access) already booked, as well as major carpet projects, the ETA team is looking forward to major events across the UK andEurope, specifically Germany, Belgium, Holland and Scandinavia. To cater for this demand, ETA has additionally manufactured 1500m² of Eco Terra-Tech and 2000m² Eco Gridmat. With essential products and services to the event, construction and entertainment industry, the new PRIMA Flooring carpet and flooring fitting team also has over 40 years’ experience between them. DIAMOND Jubilee fever gripped the nation last month when the country came together to celebrate this momentous occasion at a host of themed events. 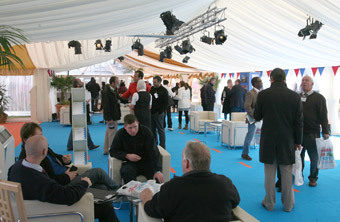 As well as the spectators who turned out in their thousands to ensure the celebrations were a success, a number of organisers, venues and event industry suppliers also took part in the special four day weekend – working on official Diamond Jubilee events in London as well as a range of projects in all corners of the UK to ensure the public had a safe and enjoyable experience. 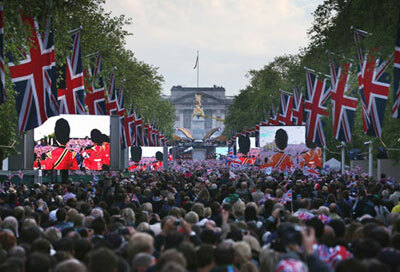 Event screen specialists, ADI.tv played an important role in the enjoyment of millions as a key supplier to the official Diamond Jubilee celebrations that took over the capital. 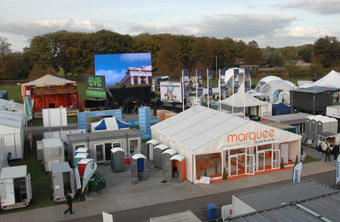 ADI provided over 60 screens across events that included the Investec Derby at Epsom, the Thames Diamond Jubilee Pageant and the BBC Jubilee Concert. Business development manager Harj Virdee said: “Last year we provided screens to Hyde Park for the Royal Wedding, which were watched by over 300,000 people, but this has been an even bigger celebration. “Providing screens to events of such historic and national importance is a huge privilege for us and a testament to our position as industry leaders. 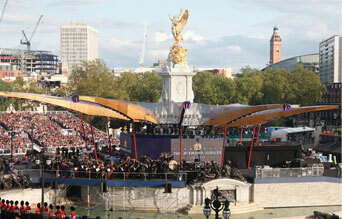 ANOTHER supplier involved in the celebrations was XL Events, which played a key role in one of the highlights of the weekend – the Queen’s Diamond Jubilee concert at Buckingham Palace. Responding to a commission from the show’s lighting designer, Durham Marenghi, XL Events’ project manager, Steve Greetham, worked for several weeks to specify and supply equipment and crew, both for the stunning projection mapping onto Buckingham Palace and the onstage wraparound LED screens and IMAG cameras for the concert stage. This was cleverly built around the Queen Victoria Monument in front of the Palace. 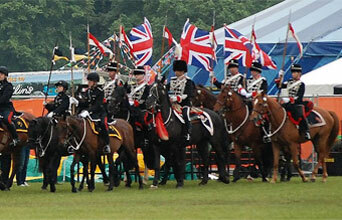 Steve said: "XL Events is very proud to have played a part in this historic event. Working in Her Majesty's front garden presents some very unique challenges, and our crew more than rose to the occasion. The extremely positive reaction to our work is fantastic." SEVENS7 was engaged by Harvey Goldsmith Productions over the Jubilee weekend to work on the the Jubilee Family Festival in Hyde Park. sevens7’s John Saxby was stage manager of the Military Parade Ground, working closely with the organisers of British Military Festival, London Equestrian Festival and the Ministry of Defence. The parade ground showcased everything from The Royal Logistics Corps, tank displays, the White Helmets Motor Cycle Display Team and the Royal Marines. He said: "It was a huge privilege to be involved in such a renowned production company and to be working on such a prestigious event. It was definitely a highlight to work with Christopher Joll, director of the British Military Tournament." 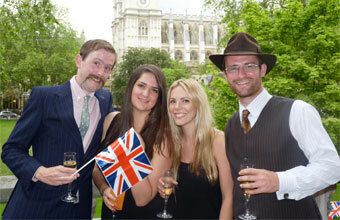 TO mark the Queen’s Diamond Jubilee, Westminster venue Church House Conference Centre invited clients and staff to a special high tea. The celebration party saw over 100 guests take in an afternoon of sumptuous food and drink – provided by the venue’s award winning in-house event caterer Kudos – and entertainment provided by musical duo The Cash Cows.